The film will open in Japan on February 3. Ticket pre-orders began last month and bundle an original clear file and three sheets of the film’s concept art. The war on terror exploded, literally, the day Sarajevo was destroyed by a homemade nuclear device. The leading democracies have transformed into total surveillance states, and the developing world has drowned under a wave of genocides. 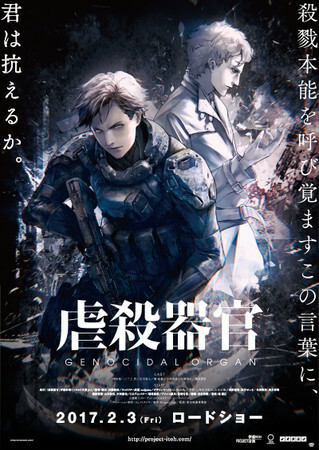 The mysterious American John Paul seems to be behind the collapse of the world system, and it’s up to intelligence agent Clavis Shepherd to track John Paul across the wreckage of civilizations and to find the true heart of darkness—a genocidal organ. 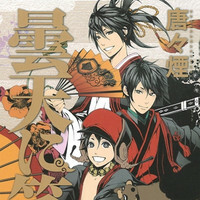 The new anime company Geno Studio is producing the film. 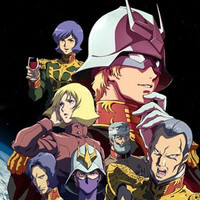 Geno Studio took over production of the film after the studio Manglobe , which was originally animating the film, filed for bankruptcy in September 2015. The film’s staff then announced in October 2015 that the film had been delayed. 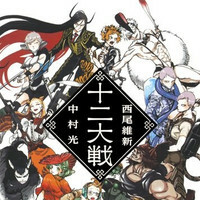 North American anime publisher FUNimation Entertainment debuted the other two Project Itoh films, The Empire of Corpses and Harmony , in select theaters last year in April and May, respectively. 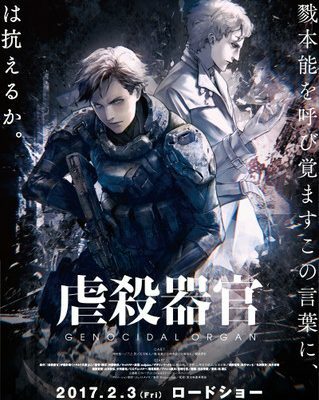 The company has also licensed Genocidal Organ . Mahoutsukai no Yome Ep. 3 is now available in OS. Yowamushi Pedal: Glory Line Ep. 20 is now available in OS.